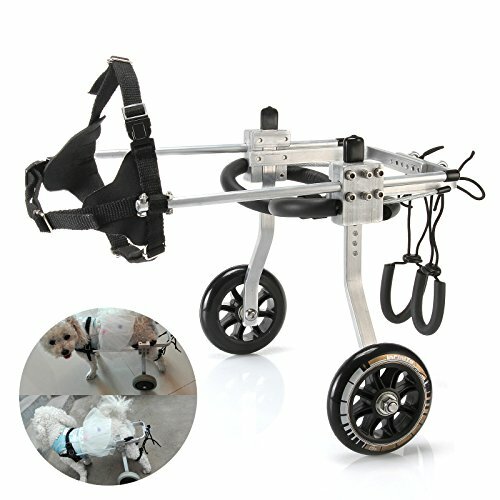 This is our dog wheelchair for super small dogs weighing 3-60 lb. 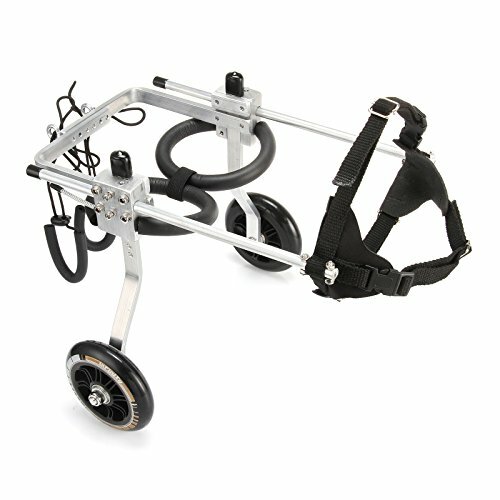 Made from lightweight aluminum non-rust alloy with 8" all terrain pneumatic wheels. 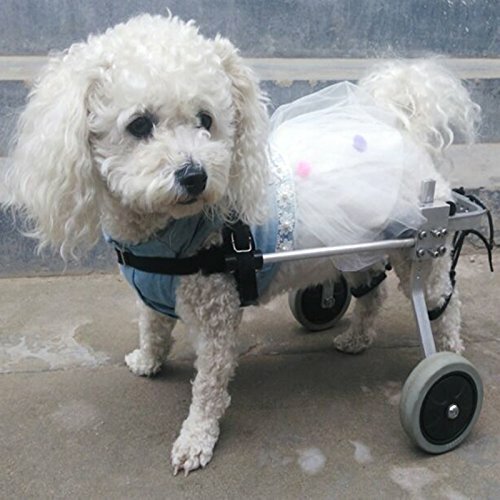 This dog wheelchair also features padded shoulder support, double-thronged adjustable neoprene shoulder harness, and built-in adjustable double rear padded harness. 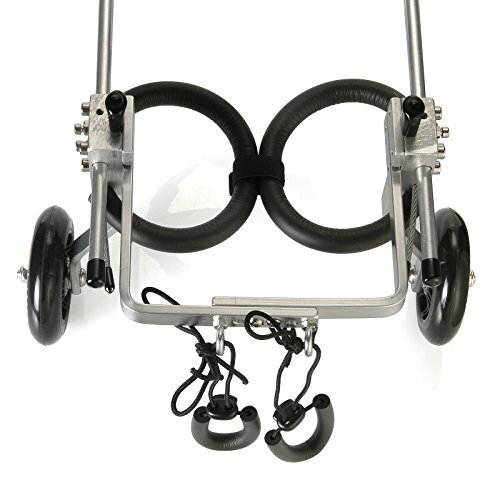 Both male and female dogs will have no problems relieving themselves comfortable even while on the pet wheelchair. NOTE:The pet needs a "warming up to the unit" time everyday if the pet is shy of the device. 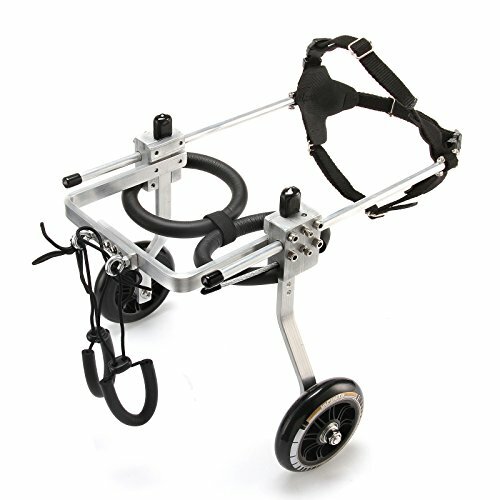 If the pet seems like it is awkward in the unit, and the unit was sized correctly, then it is just a matter of making the adjustments. 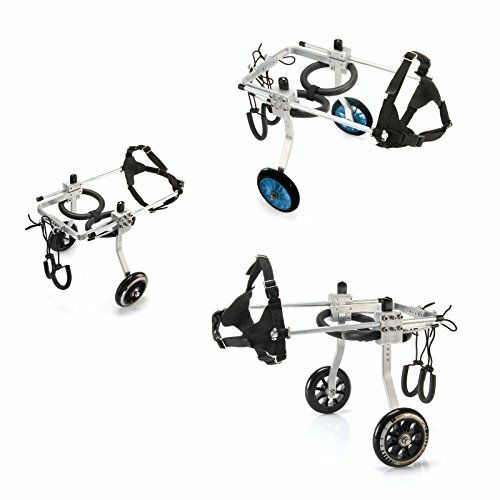 The unit can be adjusted in the length, the height, around the thighs, the width and the harness is fully adjustable as well. Distance between front and rear leg:38-42cm/16.53-18.90"
Distance between front and rear leg:42-48cm/16.53-18.90"
Distance between front and rear leg:43-49cm/16.53-18.90"